OXFORD, Miss. – The University of Mississippi’s Gertrude C. Ford Center for the Performing Arts will host a concert by the St. Lawrence String Quartet at 7:30 p.m. Oct. 16. 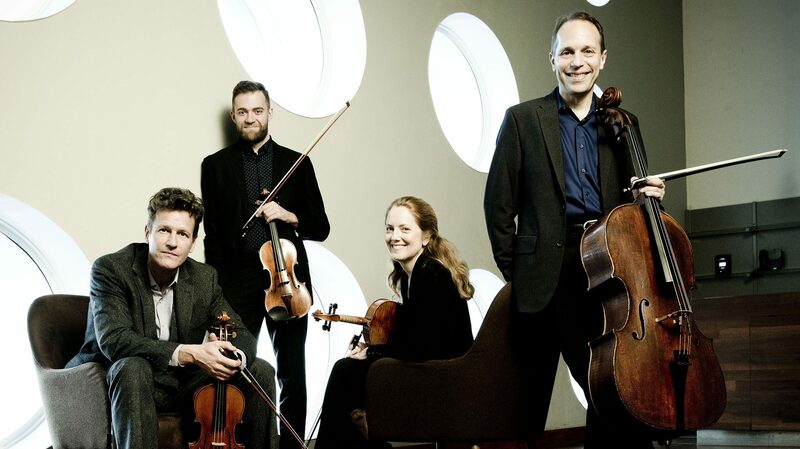 At the 2002 Grammy Awards, the ensemble received nominations for “Best Chamber Music Performance” and “Best Classical Contemporary Composition” with their renditions of works by Osvaldo Golijov. “Last year, I researched the accomplishments of the St. Lawrence String Quartet and presented the idea of bringing them to the Ford Center to the Department of Music and the Artist Series Committee,” said Julia Aubrey, Ford Center director. “Both groups were enthusiastic about the opportunity to see and hear this stellar ensemble on our campus this fall. Members of the St. Lawrence String Quartet are two violinists, Owen Dalby and Geoff Nuttall, violist Lesley Robertson and cellist Cristopher Costanza. Tickets for the performance are $20 for balcony seats, $25 for mezzanine and $30 for orchestra. Student tickets are $10 with a valid Ole Miss ID, and are available for all sections. Additionally, a 20 percent discount is offered at the box office for all Ole Miss faculty, staff and retirees. For more information on the performance, along with other upcoming shows at the Ford Center, visit http://www.fordcenter.org or call 662-915-2787.